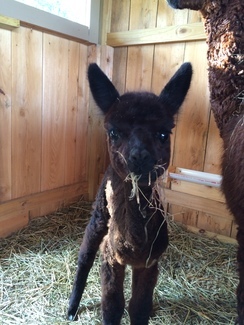 Little Bear Creek Alpacas is a farm located in Kane, Pennsylvania owned by Lois Crozier. 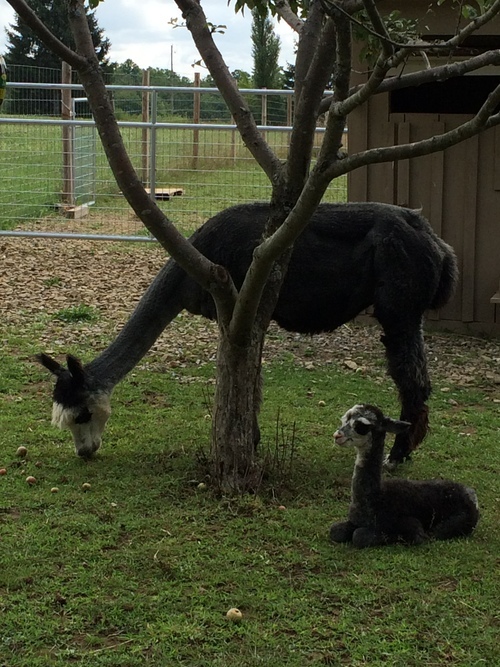 Little Bear Creek Alpacas is a medium sized farm with 30 alpacas and growing. 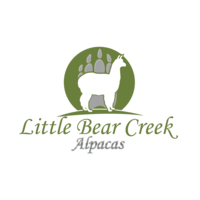 We are located at the headwaters of Little Bear Creek in Elk County, PA. Our focus is to create conformation solid animals with fine, dense, bright fiber by practicing sustainable farming practices. Our animals fiber is available for purchase as roving or spun onsite to make one of a kind yarns loved by fiber enthusiasts. Original hand made items and other products available on our farm store. 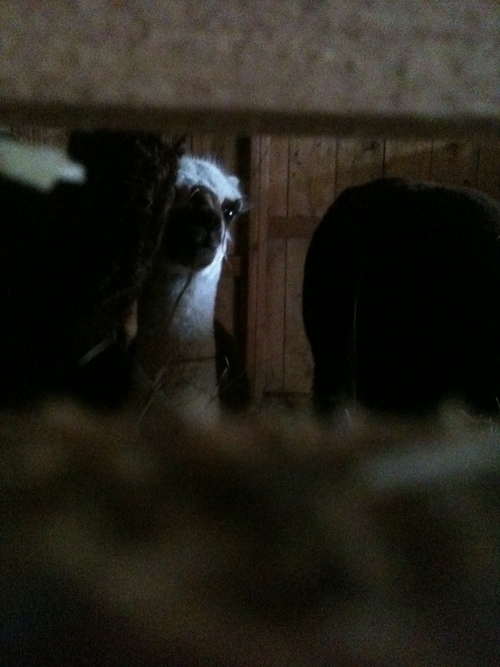 Remington when he was a cria. He has grown into a sweet bay black beauty. Cayleigh, Remmington's mom, a solid black female with great sheen.